The Department of General, Abdominal, Vascular and Pediatric Surgery at the University Hospital Saarland covers the full range of services in these medical fields. Surgical treatment is provided both on an inpatient and outpatient basis, in accordance with the advanced recommendations of professional societies. The department is equipped with state-of-the-art operating theaters, in which surgeons perform extensive serious interventions, operations under the control of navigation systems and high-precision minimally invasive procedures that ensure the rapid recovery of patients. The department is headed by Prof. Dr. med. Matthias Glanemann, who has performed many successful operations that saved numerous human lives. 1988 - 1995 Study of Medicine at the Free University of Berlin. 05/1998 Doctoral thesis defense, Humboldt University of Berlin. Subject: "Use of interleukin-2 receptor antagonists BT563 for the prevention of rejection after orthotopic liver transplantation". 05/2005 Habilitation, Humboldt University of Berlin. Subject: "Conditioning of organs by mechanical and pharmacological means in case of thermal hepatic ischemia". 05/2011 Appointed as a Visiting Professor at the University Hospital Charité. 02/1996 - 04/2012 Work in the Department of General, Abdominal and Transplant Surgery, Campus Virchow, Charité University Hospital, Berlin. 10/200210/2002 Medical Specialist in General Surgery. 06/2006 - 06/2010 Senior Physician, Department of General, Abdominal and Transplant Surgery, Campus Virchow, Charité University Hospital, Berlin. 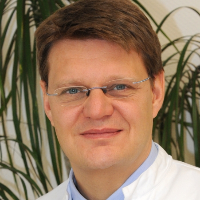 06/2010 - 04/2012 Leading Senior Physician and Deputy Head of the Department of General, Abdominal and Transplant Surgery, Campus Virchow, Charité University Hospital, Berlin. 04/2012 - 08/2013 Temporary Acting Head of the Department of General, Abdominal, Vascular and Pediatric Surgery, University University Saarland, Homburg. Since 08/2013 Head of the Department of General, Abdominal, Vascular and Pediatric Surgery, University University Saarland, Homburg. Department of General, Abdominal, Vascular and Pediatric Surgery.